There are so many types of devices that people can use to launch and engage with voice applications. 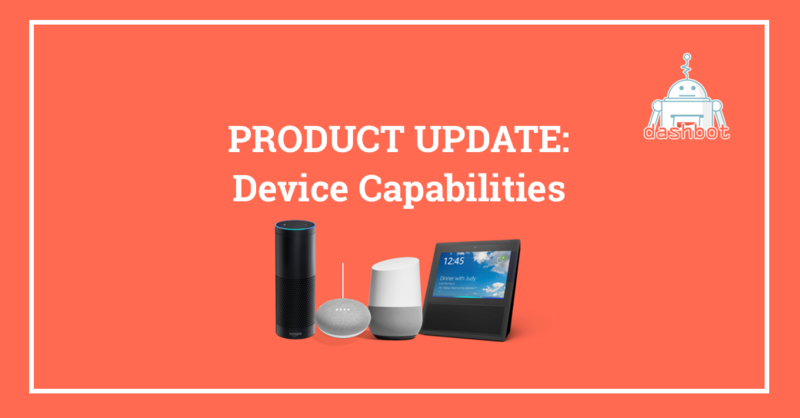 Whether it’s an Echo Show or a Google Home, developers can now use Dashbot’s Device Capabilities report to see which devices people are using when interacting with voice applications such as Alexa skills and Actions on Google. The graph shows you how many people use each type of device daily. 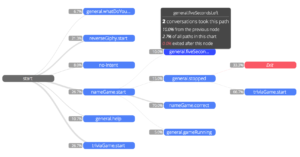 You can toggle this graph by number of users and percentage of users. In order to access the Device Capabilities report, you’ll need to configure your voice applications to support display. Please follow the steps and take a look at more detailed documentation below. 1. Edit your Alexa skill in the developer console. 2. Navigate to Build > Custom > Interfaces. 3. Enable the Display Interface option, then click Build Model to re-build your interaction model. When you enable Display Interface, the required built-in intents are automatically added to your interaction model. To design and build conversations that work well on all surfaces, use surface capabilities to control and scope your conversations properly. You define your Action’s surface support in your Actions project.